#MusicMondays - Ten New Naija Tunes to Update Your Playlist This Week. - The Back Story. #MusicMondays - Ten New Naija Tunes to Update Your Playlist This Week. Curated for your listening pleasure, these are ten songs we feel will be a worthy accompaniment throughout the week. So much good music but add these to your playlist! The Mavin act's latest release taps into the Afro vibes of his previous Bio Bio but unlike the Wene Mighty featured song, this jam is motivational in scope and quite the prayerful one. Like Wetin You Gain and Motivation, the theme of wanting to become big is growing into a genre of its own. Who doesn't need blessings for a new week and month? Blurring the lines between each of their preferred genres, the dread locked ex P Square member reveals his aspirations to blend into newer sounds and who better to feature on a song like this? The young AJ act is one to watch out for. Signed to Ghettolife Entertainment, he makes a bold claim of being the next one to break through the Ajegunle stream of talents. This song, meant for an evening out is best enjoyed with an uplifted spirit and in no time, guaranteed to have you screaming 'roller, roller, roller'. 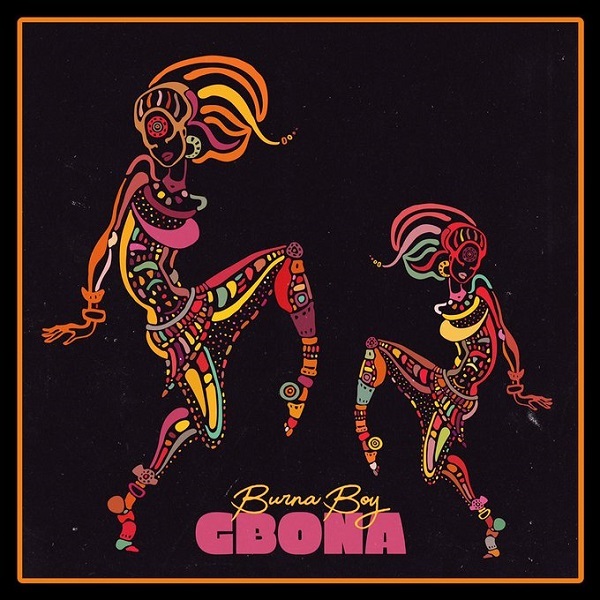 This Afrobeat jam summons the spirit of Fela in all its glory. Even at his most danceable mood, Burna makes the sarcastic statement: you no get money you dey call police. The Boy Wonder recently released a seven track EP titled Lazy Genius. It is a sonic ride into the groovy world of Ayo Jay. The EP features Akon and some others but its shiniest moment among many other moments of such brilliance comes on Want You, where he briefly dons the hat of storyteller and displays vocal strength and great songwriting. Among the Alté kids, Odunsi seems to be the one pushing the narrative furthest. On Sess the Prblm kid's Omo Muda, amongst many other gems is Foreign Girls, an electro urban sound in over which Odunsi sings, quite Alté esque, about his love for foreign girls in the party. The Alhaji's latest song is a cocktail of sounds. Sometimes, it sounds like dancehall but the Afro elements sprinkle in sparsely. Produced by Dapiano, Orezi goes on to fully implement the beat by way of nostalgia and his rather simplistic lyrics. Solid effort but why do we feel Oritse Femi would make this song exceptional? Later in October, the trio made up of record producer Diplo, and DJs Jillionaire and Walshy Fire will visit Lagos for the U - Live Africa show that would have taken them to other African cities. Due to the recent bloom in Afro music, it was a landmark earlier this month when the group released Afrobeats Mix, a compilation of songs released a while back but mastered anew, or left in its pristine quality. Some songs, however, had never been heard. The boy Kizz delivers one of his most memorable performances ever on Loyal, featured on the Afrobeats Mix. Alongside the patois laced vocals of Jamaican superstar Kranium and the electric production, Loyal will prove to be the unflinching and well, the loyal partner to your ears this week and most likely forever. The tiny voiced act reiterates the wise sayings about success on this groovy and prayerful song. The production, which leans on its crescendo of drums and heavy guitar strums works for its uplifting tone. A song you'll want to listen to before you step out of the house everyday. The Egberi Papa who nowadays goes as ‘Papichulo’ builds this song upon two pillars: the production of gyration tracks and Sister Nancy's 80s hit Watta Bam Bam. Olamide delivers his first rap verse in a while to make this one of those songs sure to get you on.